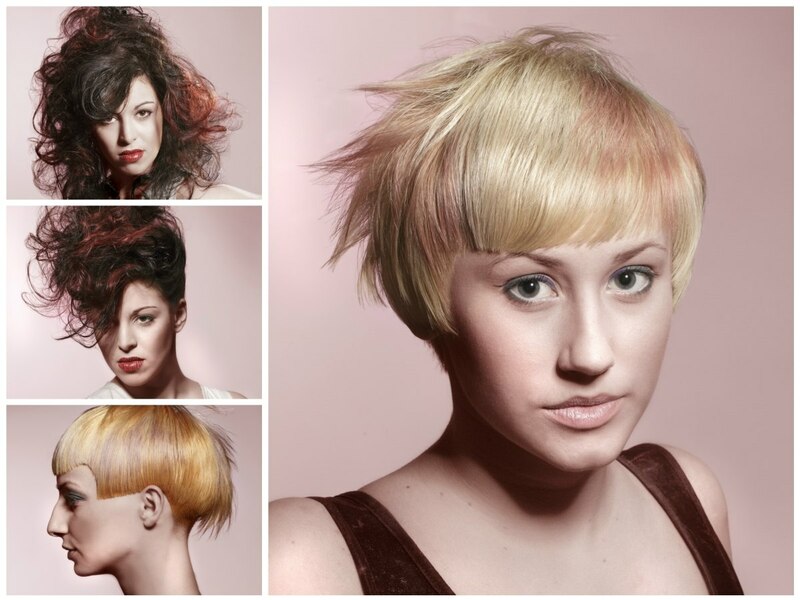 Bold colors and bold cuts are the best choices for a smoldering new summer. Get edgy and express yourself. There is no reason to hold back. As the temperatures rise, the colors of our hair are also heating up to intense golds and red, but never without a cooler hue worked into the same hairstyle as a balancing counterpoint, but at the same time it gives even more power to the warmth of the deep and rich tones. 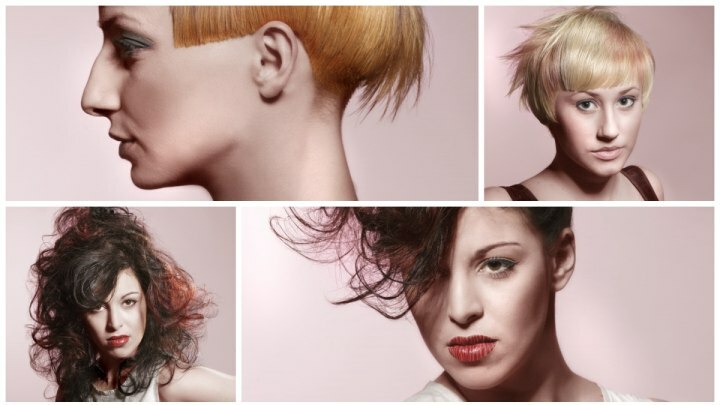 The shapes presented by KSFH are equally powerful and they convince with curls that are wild and wuthering to new heights or with short and geometric cuts, that boast a distinct outline, curves and corners but also soft texturing effects. Opposites attract and they do so even more when combined on one hairstyle. Warm and cool colors, straight lines and wispy textures. Summer can come! 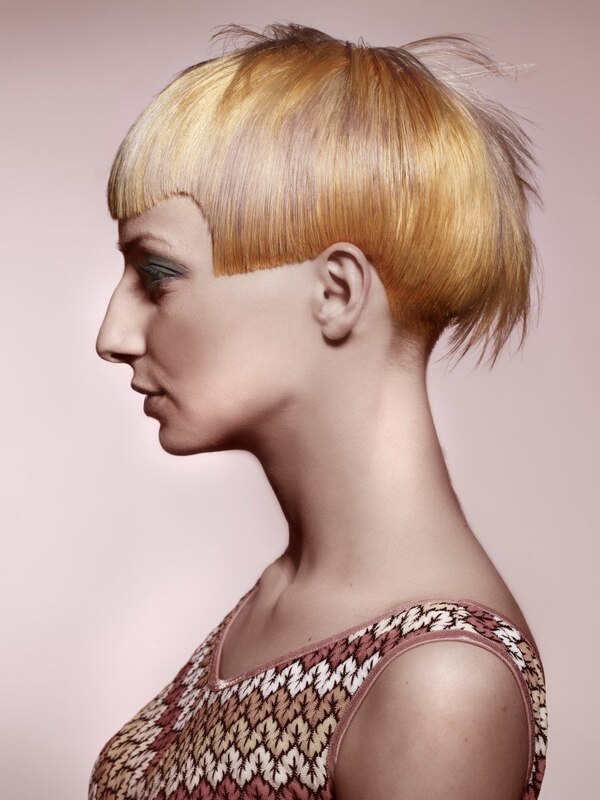 Feminine and flamboyant, this voluminous opus of a hairstyle is simply ravishing. 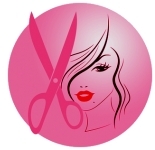 The long hair is cut into layers and features a jagged side part with a very deep fringe. The large curls ring in a rennaissance of really big hair and now it even comes in opposing colors. Forget soft transitions, bold is the word of the new season. A cool and smoky dark brown frames the face and is spiced up by wide streaks of firey hot reds that make us think of cayenne pepper and rich red wine. Styling puts emphasis on height and bundles of hair are pinned to the top and the wispy curls complete the exciting retro style. This seductive updo seems to have freed itself not only from conventions but also from gravity. The hair just sweeps up with no signs of tools of attachment. Pins are invisble for full effect, but of course you can use your favorite barrettes, clips of hair jewelry to dress this elegant and extravagant look up a bit more. The large curls, which are teased and deconstructed and arranged to gain lofty height are accentuated by the warm and cool colors. Note the lipstick applied in two tones as well for a perfect finish. A darling short hairstyle that is sure to wow everyone! A neat cutting line goes all around in straight and curved lines with a controlled geometry. All this neatness is softened up by the subtle texture around the perimeter and in the fine layers that appear almost seamless if not ruffled up for a wispy styling. 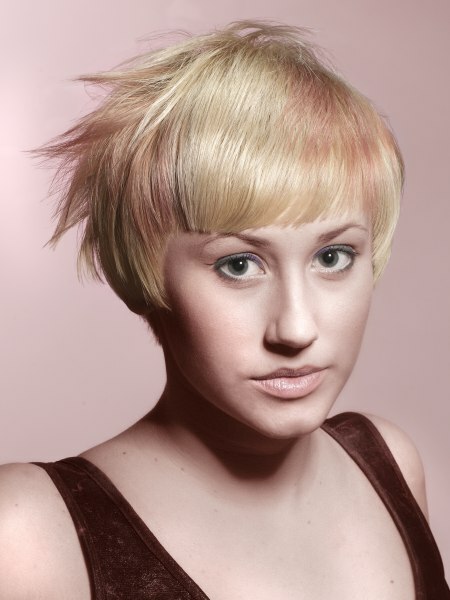 Two tones of hair color are used to add another layer of charm to the look and to sweeten it up even more. A scrumptious vanilla blond gently blushes in a rose tone in various, seemingly random areas. It is all about the outline and the color. Both work hand in hand to perplex and to enchant the beholder of this edgy elegance and artistic flair. 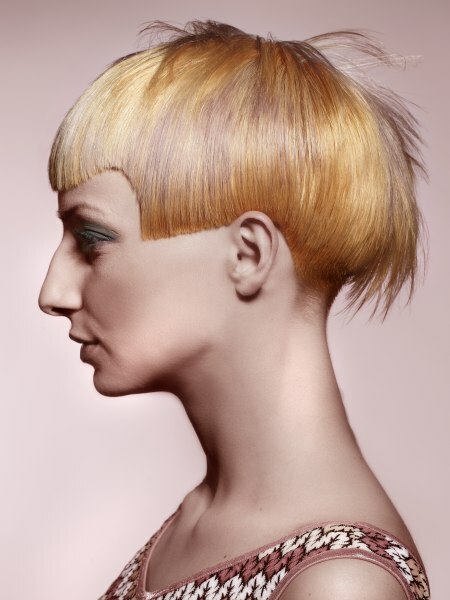 The hair is so sleek it fits like a helmet. Edges are meticilously drawn and finely textured to make the very edge toothy and rough. This is juxtaposed by the ethereak lightness of the layered strands that are lifting off the smooth creation. 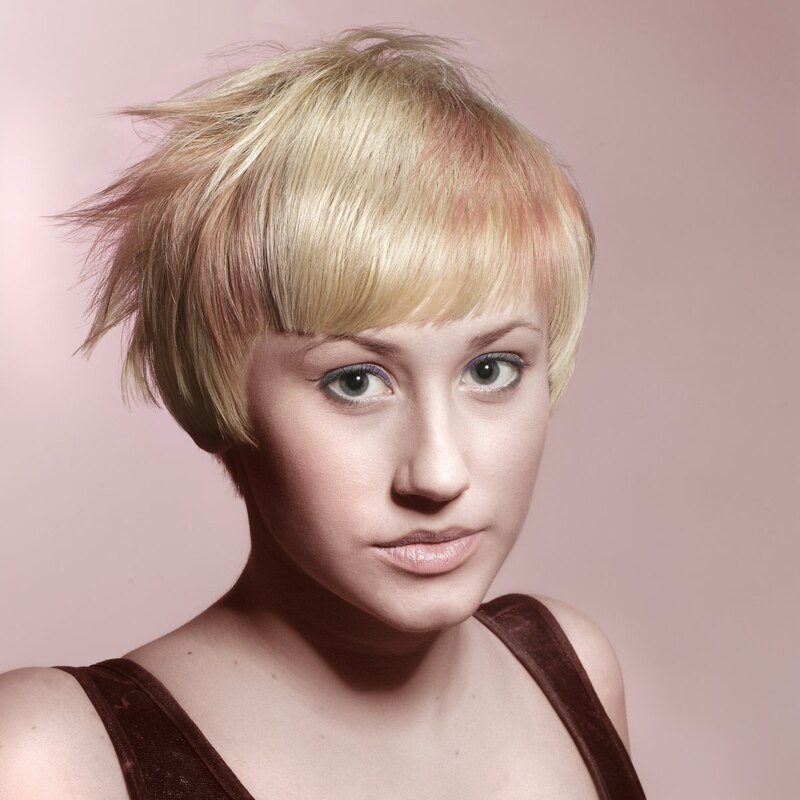 Hair colors include light gold, dark yellow gold and a cool lavender. The latter brings out the warmth of the gold even more. All colors are applied in large patches and layers so that a marbled effect results.